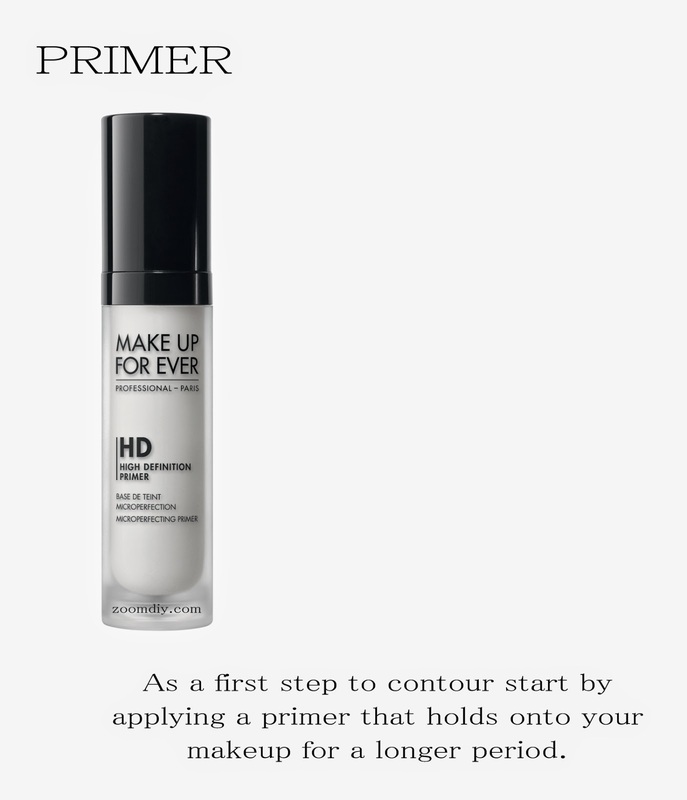 Start by applying a primer that holds onto your makeup for a longer period. 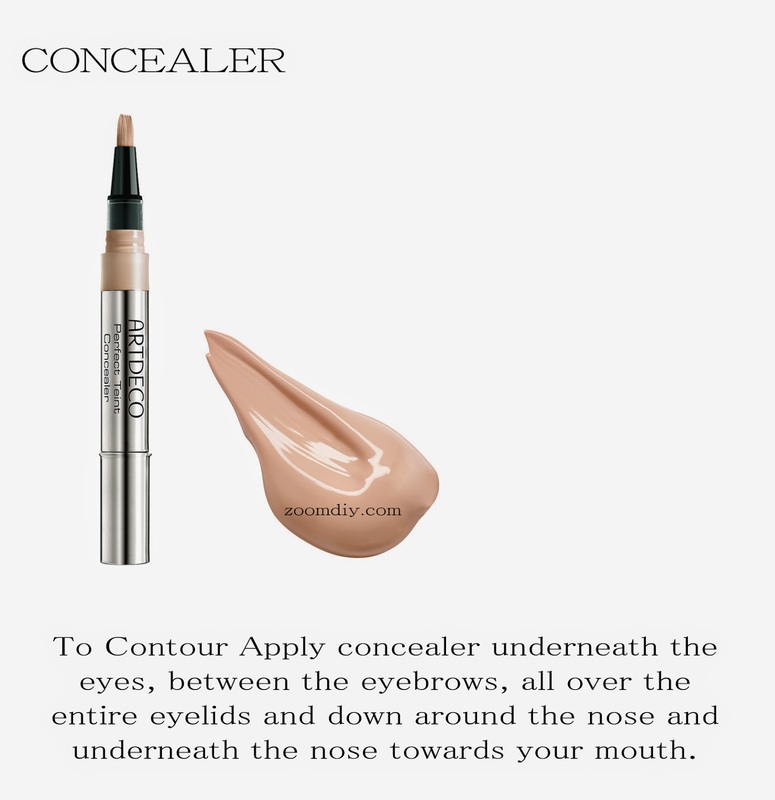 Apply concealer underneath the eyes, between the eyebrows, all over the entire eyelids and down around the nose and underneath the nose towards your mouth. Be sure you spread it out really well. This trick will highlight these areas around your face before you put on your foundation. Apply it all over your face evenly, over the concealed areas. 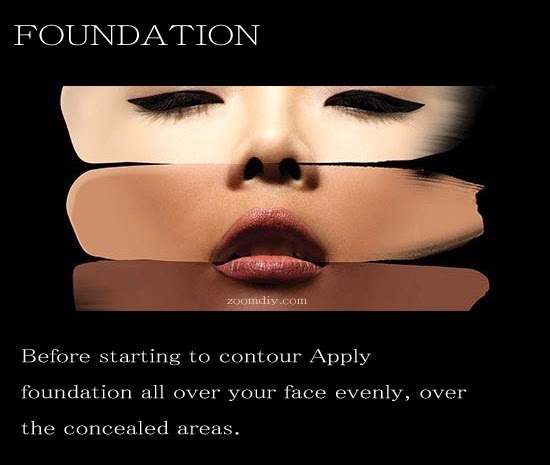 Do not apply foundation before your concealer or you won't get as even of a look and it may look funny. 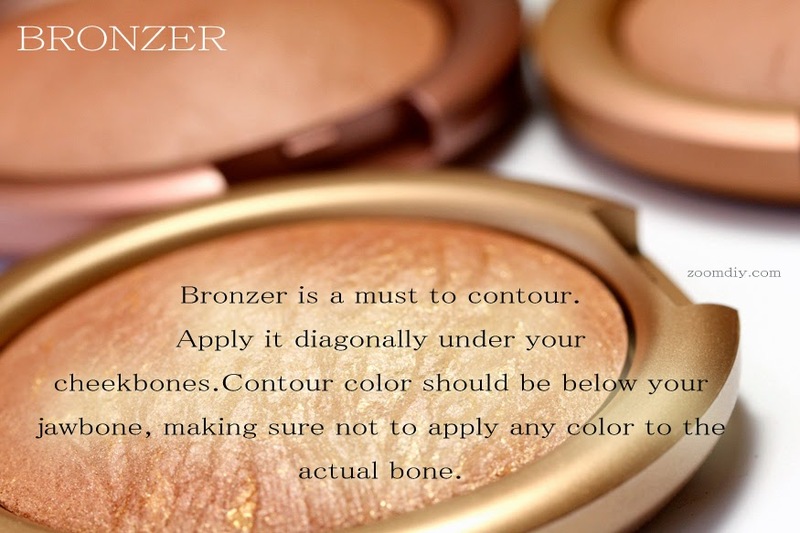 Apply bronzer diagonally under your cheekbones starting from the ear edge or parallel to your jaw line. This will really make your cheekbones pop. On the sides of your nose from the bridge straight down. This will make your nose appear longer and thinner. If your nose is longer, then you will have to apply it on the nose tip too slightly. 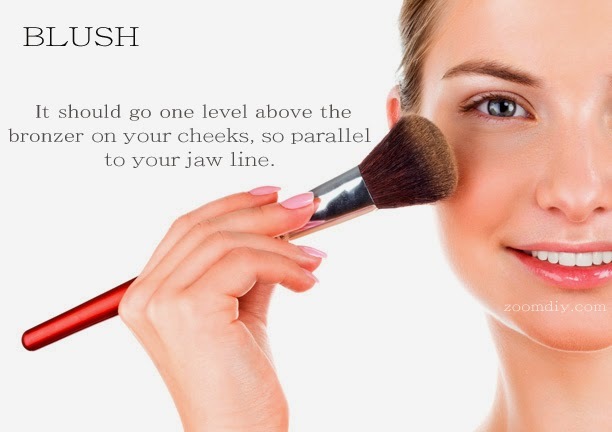 Apply contour color below your jawbone, making sure not to apply any color to the actual bone. The point is to create a shadow below your jaw. If your jaw is large, you may bring the contour color up on either side of the chin. This will make your jaw appear less bold. 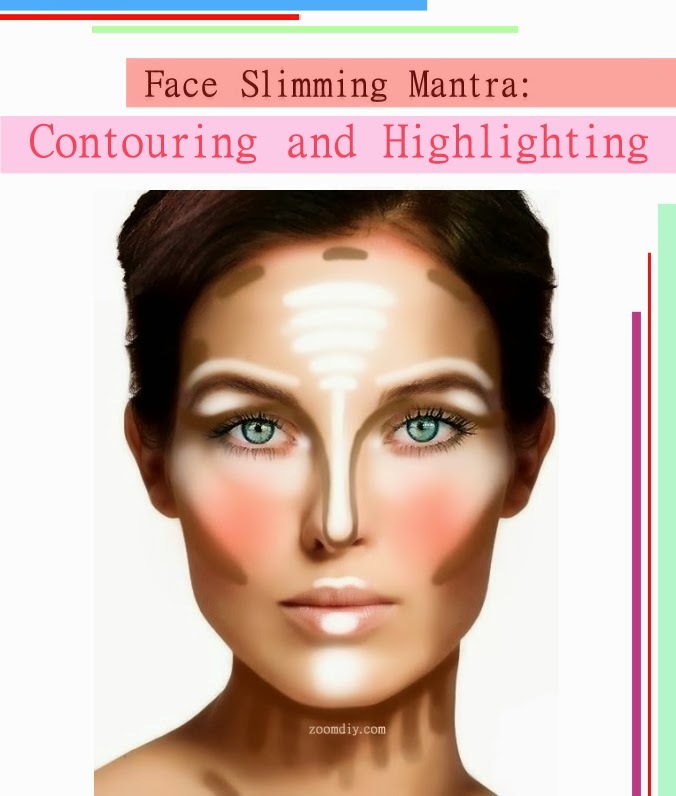 Blend your contour color into your hairline. Doing this helps make your face appear slimmer. Make sure to blend well into the hairline. This should go one level above where you applied the bronzer on your cheeks, so parallel to your jaw line. This will really make the apples of your cheeks stand out. Add a dab to the bottom and top portion of your lips to make their shape more prominent. 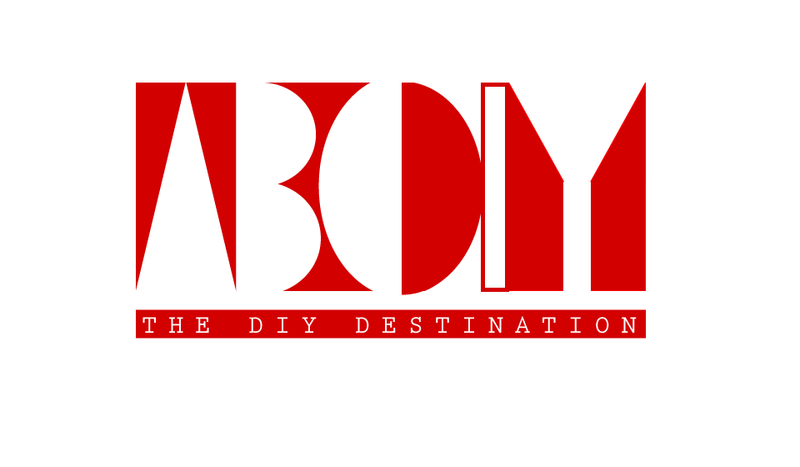 Apply to your brow bones. 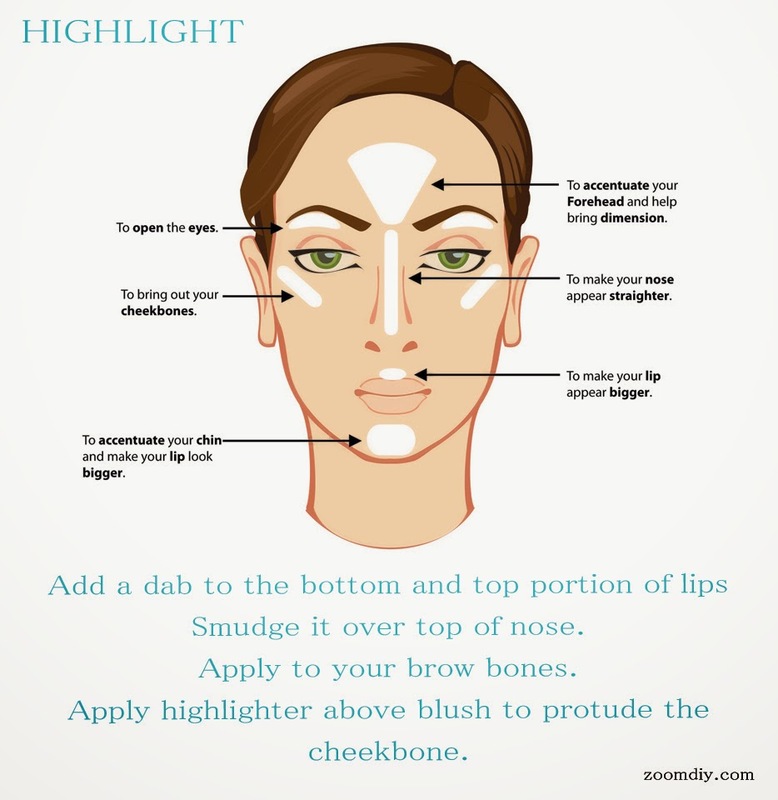 Make your cheekbones stand out even more by adding highlighter above your blush. For extra glow, add a touch to the apples of your cheeks over your blush.